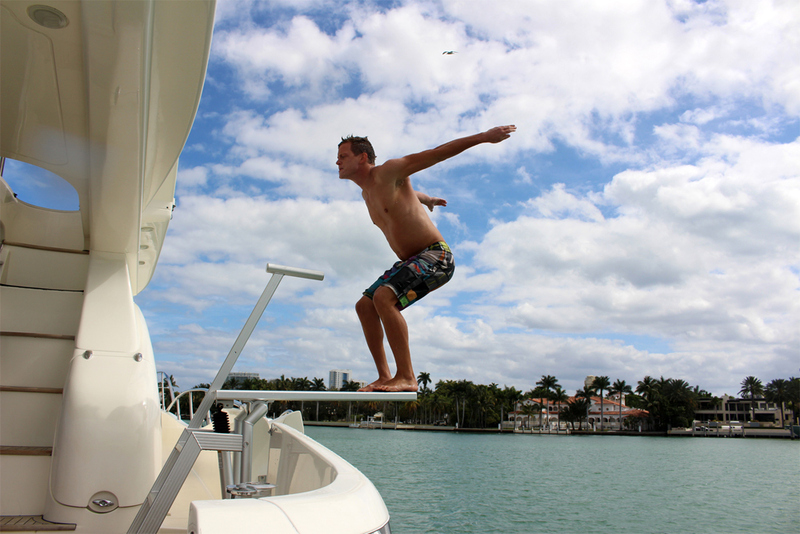 The LilliPad Diving Board is the world’s only diving board designed specifically for mounting on a boat. The diving board is most popular on pontoons, cruisers and houseboats; but is compatible with most boats over 18 feet with a flat and solid surface for installation. LilliPad Diving Boards can be fully removed from the boat in less than two minutes, collapses for storage, offers multiple tension settings for heavier and lighter jumpers and incredibly, when you jump – you don’t rock the boat! LilliPad Diving Boards are built with heavy wall, aluminum extrusions, stainless steel hardware and urethane spring components. In addition, LilliPad Diving Boards offer traction materials and an adjustable stabilizer rail for safe jumping and a quick release pin to lower the diving board while it is not in use. What styles of boats can it be installed on? LilliPad Diving Boards can be installed on nearly any boat 18 feet in length or larger with a solid, flat surface for installation. 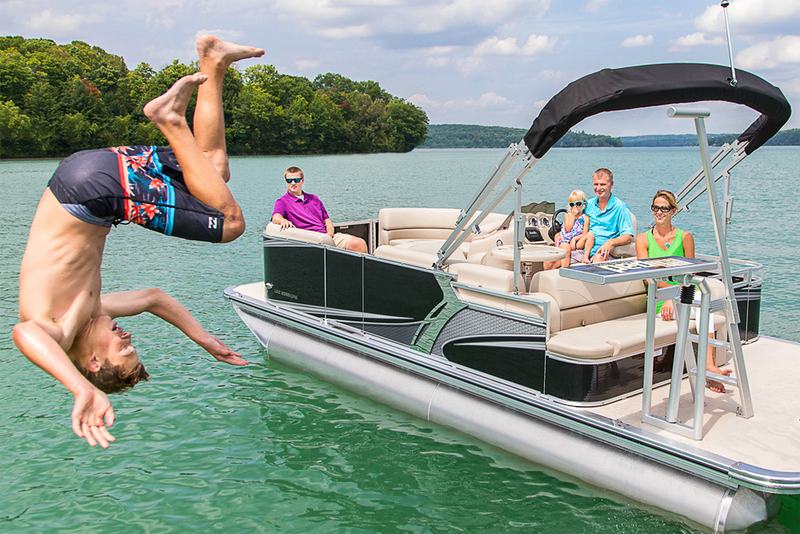 Popular boats include pontoons, houseboats, motor yachts, and cabin cruisers with integrated swim platforms. Is the diving board a plank? LilliPad Diving Boards are NOT a plank. However, unlike a pool diving board, the diving platform itself does not flex. The spring action from the LilliPad comes from the urethane springs which are part of the framework of the diving board. Will it put too much stress on my boat? LilliPad’s award-winning design cancels the energy of the jumper by counteracting the force within the framework of the diving board. The result? Exciting spring-action for the jumper, a gentle wave-action for the remaining boaters and very little stress on the boat. How much weight can the diving board hold? LilliPad Diving Boards are designed for use by children and adults up to a maximum weight of 250 pounds. The diving board is designed with a pin that can be adjusted to strengthen the spring for heavier or lighter users. How will I dock my boat? LilliPad Diving Boards are designed with a quick release pin which allows the board to drop down along the side of the boat while not in use. How difficult is it to remove the diving board to stow my boat? 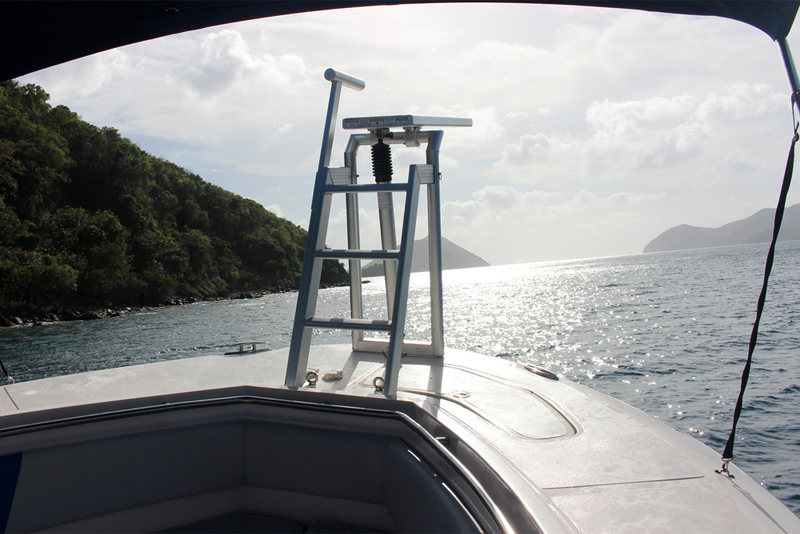 You can easily stow your Lillipad Diving Board by simply unscrewing the three eye bolts that secure it to the boat. The apparatus then separates into two sections (ladder & base/board) which can easily be stowed.